agent, manager, and publicist contact details for Ashanti. Whether you are looking to get in touch with Ashanti's agent for an event, or Ashanti management for an endorsement, we can provide you the best and most accurate contacts. If you have any questions on how to use our service, you can contact: support@bookingagentinfo.com. Book Ashanti. 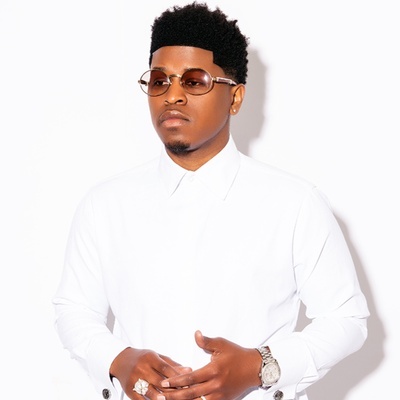 Ashanti email, contact Ashanti management, Ashanti manager for business, bookings, pricing, hire. Singer, songwriter, producer and actress Ashanti was born Ashanti Shequoiya Douglas on October 13, 1980 in Glen Cove, New York, where she grew up taking dance lessons and singing in the church choir. As a child, she had bit parts in the films Malcolm X, Who’s the Man?, and the Disney TV film Polly. After meeting producer Irv Gotti in 2001, she appeared on tracks by artists such as Big Pun, Ja Rule, and Jennifer Lopez. 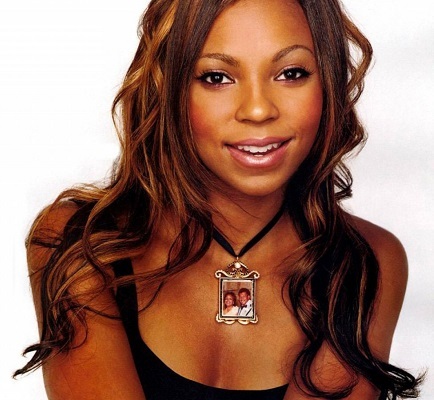 She released her debut album, Ashanti, on Gotti’s Murder Inc. record label in April of 2002. The album contained her biggest hit to date, “Foolish”, which spent ten weeks at #1 on the Billboard Hot 100 and won her a Grammy Award for Best Contemporary R&B album. In 2003, Ja Rule and Ashanti collaborated on the hit song, “Mesmerize.” Later that year, she released her second album, Chapter II, which debuted at #1 on the Billboard 200, as well as the holiday album Ashanti’s Christmas. She followed this up with Concrete Rose in 2004 and the remix album Collectibles by Ashanti in 2005. In January of 2005, Ashanti made her feature film debut in Coach Carter with Samuel L. Jackson. Later that year, she starred as Dorothy Gale in the made-for-television film Muppets’ Wizard of Oz. She followed this up with roles in John Tucker Must Die and Resident Evil: Extinction, as well as guest appearances on Sabrina the Teenage Witch and Buffy the Vampire Slayer. On June 3, 2008, Ashanti released her fourth album, The Declaration, which featured the single “Body on Me”, a duet with rapper Nelly. From June 12th to July 5th of 2009, Ashanti headlined The Wiz as part of New York City’s Encore! series. On December 15, 2011, she released the lead single from her fifth album, “The Woman You Love”, featuring rapper Busta Rhymes. In November of 2012, she landed her first series regular role on the Lifetime series Army Wives. The following year, she starred in the Lifetime TV movie Christmas in the City and had a guest-starring role on Law and Order: Special Victims Unit alongside Clay Aiken and Taylor Hicks. On March 4, 2014, Ashanti released her fifth album, Braveheart, on her own record label Written Entertainment. The album features appearances by Rick Ross and French Montana, among others. How can I book Ashanti? You can hire and book Ashanti by contacting the official agent of Ashanti. Ashanti agent will be able to provide you with availability and pricing. You can get the contact details for Ashanti agent in our database. You will want to get in touch with the press team of Ashanti. Contact Ashanti’s publicist to inquire about any media inquiries. You can get the contact details for Ashanti press team at Booking Agent Info. How can I contact Ashanti management? The contact details for Ashanti management can be found here at Booking Agent Info. You can get access to all of Ashanti contacts by signing up and becoming a member. What is the Ashanti booking fee? You can get the fee to book Ashanti for an event, endorsement, or any type of business engagement through Ashanti's agent. Booking Agent Info provides booking price estimates, but you would contact the agent to get official pricing. ..with the contact information for Ashanti agent, manager, and publicist. Our site is meant to assist you in finding how much does it cost to book Ashanti for an event, and how to book Ashanti. Our database can be used to assist you in getting Ashanti endorsements, interviewing Ashanti, or to hire Ashanti for an event.